Earlier, Venezuela rejected demands to hold a fresh election. This comes after France, Germany, the United Kingdom and Spain called on Maduro to hold a “free and transparent” snap election, threatening to follow the US in recognizing Guaidó as president if their demand is not met. Guaidó has declared himself "acting president". 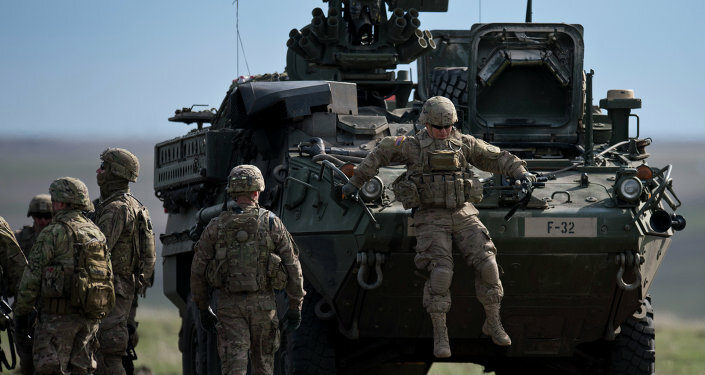 Meanwhile, Colombia has said that it won’t give the US access to its military bases in case it chooses to launch a military operation against Maduro. Iranian Foreign Minister said that Tehran will support the Venezuelan government against conspiracies. Russia, China, Mexico and Turkey have also expressed support for Maduro. 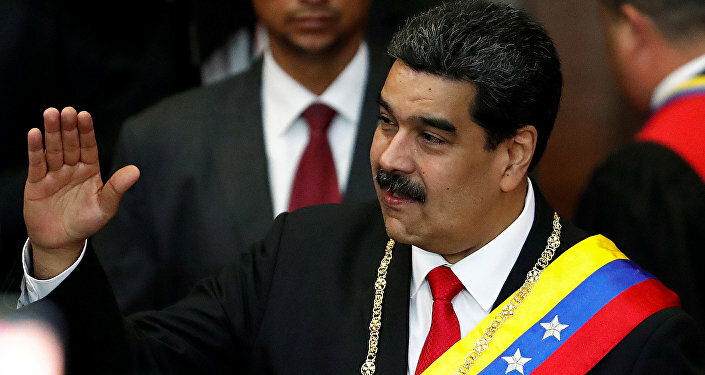 Sputnik has discussed the developments in Venezuela with Guadalupe Correa-Cabrera, an associate professor at the Schar School of Policy and Government at George Mason University. Sputnik: How realistic is it for Venezuela to now hold a new election? What’re your thoughts on that one? Guadalupe Correa-Cabrera: It’s a difficult question because right now there’re no conditions in the country to hold elections. I think President Nicolas Maduro is right – nobody can give an ultimatum of eight days to hold elections. There needs to be a dialogue before, there needs to be a dialogue between political forces, and the international community is also very divided. So today it’s not so easy to hold elections. First, there needs to be a dialogue and maybe a mediation by some countries of the international community, like Uruguay or Mexico, and other countries supporting a peaceful conversation. It’s not necessarily support for Maduro, it’s support for further discussion and a peaceful solution of this controversy. Sputnik: It’s a very interesting point that you’re making. I’ve asked various experts in previous conversations about what Guaidó’s policies are, what’s his vision and mission, what’s his experience in being able to deal with this mess that Venezuela is in at the moment is. There’s a very well-known saying, “Better the devil you know” sometimes. If elections take place, is it likely that he is going to win? What’s the feeling on the street? Guadalupe Correa-Cabrera: I’m not sure about that. Juan Guaidó just appeared last week and proclaimed himself the president of Venezuela without being elected by the people of Venezuela. His political experience is under question in many ways. He wasn’t elected. Here, that’s another actor that is very important, the military. It’s not just a matter of a person without any experience and without a popular mandate to just proclaim himself president. There’re other forces that can cause a lot of instability depending on which side they are. And also the role of the United States and maybe the military forces of other countries, including the United States, [is important]. The situation is very complicated. A person who just comes out of nowhere is probably not a good idea. There really must be a further discussion, a deep discussion involving all sides of the spectrum and the world. Sputnik: It’s obviously a very complex situation that’s happening in the country at the moment. Can you give us your best overview with regard to how would you characterise Venezuela’s economic situation at the moment? We know that it’s in dire straits as we say in the UK. What’s the forecast for the nearest future? We know that Guaidó is, obviously, touting for funding and finance loans from the external world, even if there’s a change in administration with loans and support, how long is it going to be before Venezuela can turn this ship around? I mean, it’s underpinned by oil, but the country is in absolute financial mess, it’s going to take a long period of time, isn’t it? Guadalupe Correa-Cabrera: It’s going to take a long, long period of time. The conditions that have determined today’s economic situation are not just determined by what some call mismanagement of the economy by Maduro and Chavez; there’re many factors above here. Unfortunately, Venezuela has had a situation that is very unfortunate because of its dependence on oil, and, of course, other countries’ involvement [meddling] in economic affairs of Venezuela. The United States is involved and has some responsibility for this. It’s not going to be just because Juan Guaidó and the opposition are going to be there that the country is going to flourish from night to day; it’s going to be very complicated. And there needs to be a compromise including all social actors. And I don’t see those conditions right now taking place. It’s not just changing a person or changing the support; it’s about political will. The Venezuelan society is very fragmented, the opposition to Maduro and the former government of Chavez have never had a plan or have never acknowledged that there’re others, that it’s not only about political power, but it’s about an economic commitment to involve many others. And this is why it had been very difficult for the opposition to really govern the country because they haven’t offered what needs to be offered to the people in Venezuela. They seem to be just worried about them to be in power again. There’s no realistic economic plan to as of today on how to solve the economic situation of Venezuela. And we have to remember that Venezuela is not only like this because of Maduro. Of course, there’re many other forces that have been responsible for this. Views and opinions expressed in this article are those of Guadalupe Correa-Cabrera and do not necessarily reflect those of Sputnik.